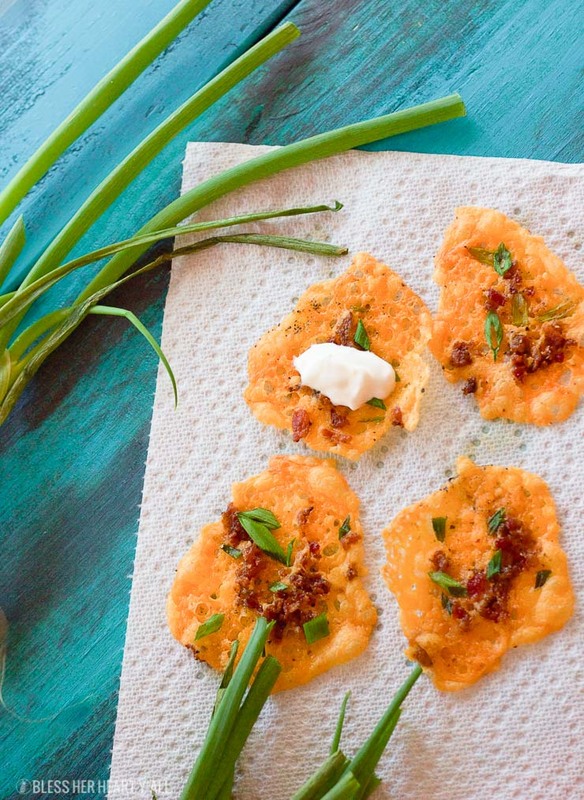 Loaded bacon cheddar crisps are the perfect 5 ingredient baked finger food for your next party! 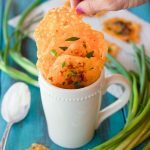 They combine cheddar, bacon, garlic, and green onion into a gluten-free and low carb snack that takes just minutes to make! Place a dollop of sour cream on them and you have a new easy low carb version of loaded potato skins! 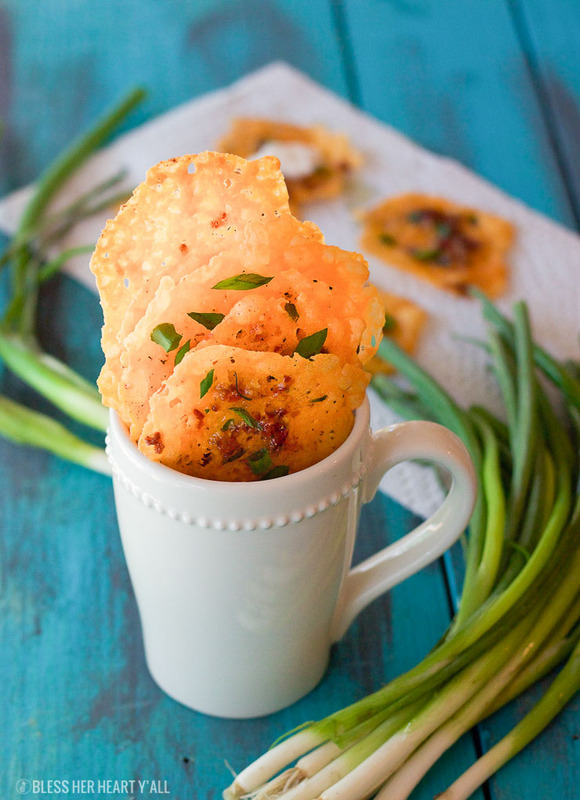 My ever-popular Garlic Basil Parmesan Crisps led me to try other versions (like the Pepperoni Pizza Mozzarella Crisps and the Taco Cheese Crisps) thanks to a bunch of reader questions. I am so glad that ya’ll pressed me to try new versions of the original recipe because this betty is a gooooooood one! Man I love y’all! Smoochy smooch! This time around, of course I was craving carbs in the form of potato skins. As content as you feel while downing a plate of these little boats, the disaster that is your crabby body afterwards is not so cute. Whomp whomp. That’s when I decided to try my hand at another cheese crisp variation that would have all the tastes and feels of the loved/hated potato skin but without all of the guilt. Making a low carb version of those little beasts would be amazing, right?!? Right. 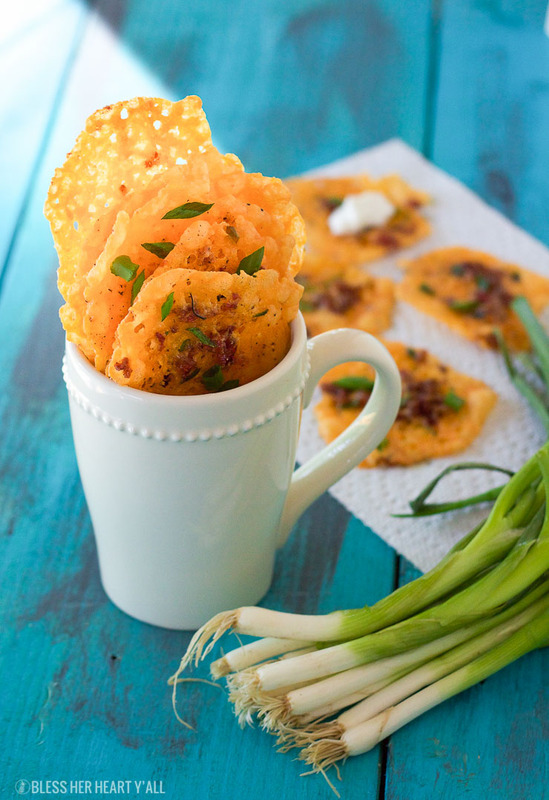 So here is the loaded bacon cheddar crisps recipe that you need in your life if you are anything like me. Short on time, big on hunger, and have a hankering for something cheesy and bold. 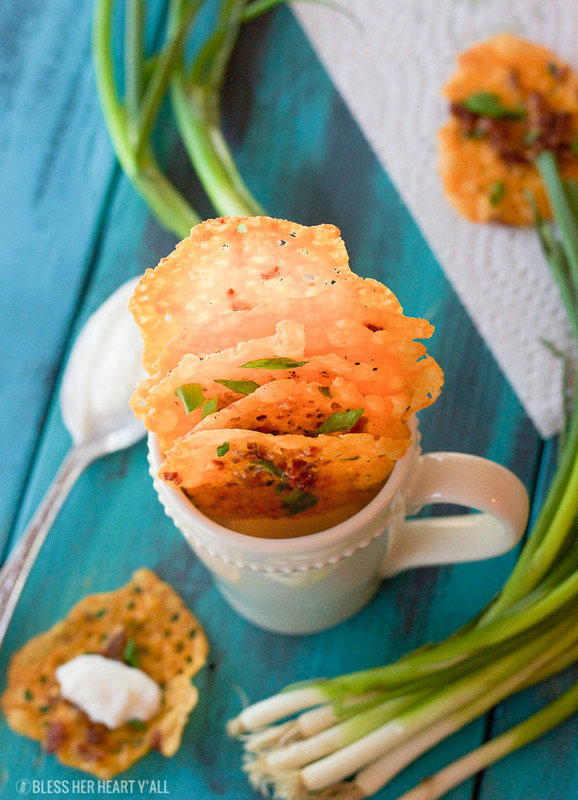 So grab your cheddar cheese, your green onion, and your garlic and bacon crumbles and get your oven and bellies ready for a scrumptious snack that is about to happen! On a parchment paper-lined baking sheet, place heaping 1 TBSP fulls of cheese onto the sheet in circular little piles. Flatten each cheese pile out into thin cheese circles. Sprinkle with garlic powder and black pepper, bacon crumbles, and green onion pieces. Bake for 8-10 minutes or until the edges start to crisp up. Remove from the oven, allow to cool fully, and enjoy! If you’d like your loaded bacon cheddar crisps with more or less crisp to them, bake them for 30-60 seconds more or less respectively. If you don’t have garlic powder, garlic granules or onion powder taste great too. Want these bad boys spicy? Add a sprinkle of crushed red pepper flakes on the top before baking! Want a healthier option to sour cream for a dip? Try some plain greek yogurt as a yummy replacement. 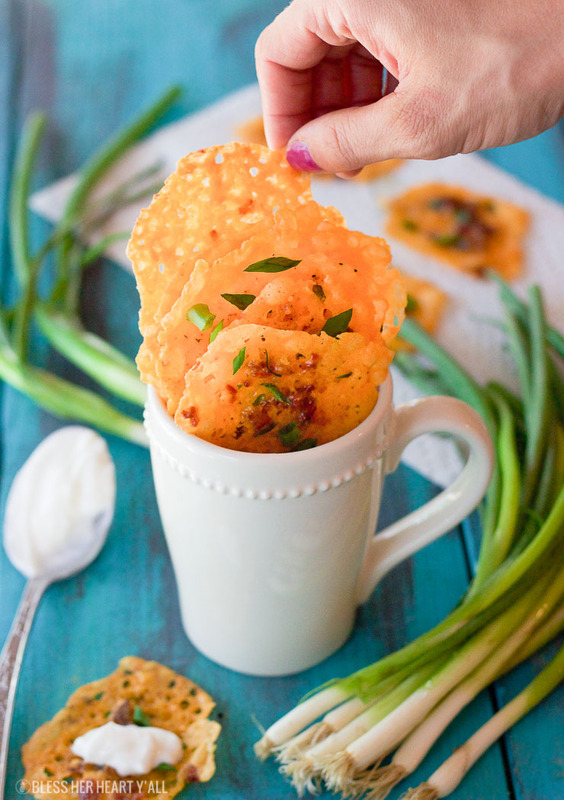 If you don’t have cheddar cheese laying around, try a different variety of crisp, like our uber popular Garlic Basil Parmesan Crisps or the almighty pepperoni-pizza-substitute, the Pepperoni Pizza Mozzarella Crisps!